Rumours vs Reality: Future Sailing for The Mighty Boosh? Boosh fans were sent into a frenzy last week, when the online version of Radio Times claimed The Mighty Boosh were to reunite for a new project. This was cause for the Radio Times to lead with the headline ‘The Mighty Boosh’s Noel Fielding and Julian Barratt reunite for new project’ and the opening sentence: “Julian Barratt and Noel Fielding are back working together.” Inevitably, this led to further sites quoting the story, and a massive game of Chinese whispers ensued. TVO’s attempts to calm things down were not entirely popular, but we knew we had to wait to find out more. However, this time it did follow on from a couple of recent interviews with Noel in which he hinted that they were starting to consider working together. Back in February on the Nerdist podcast he said: “We see each other all the time, and we’ve just recently started thinking we should write something again. So hopefully this year we’re going to have a crack at something. No idea what … we’re just going to see what happens. ” Although we really, really want to get excited about it, you have to admit that it still sounded a little vague. And so, with Noel only just back from his US tour and taking a well earned break before a flurry of fresh activity; and Julian knee deep in promo for Flowers amongst various other projects, we turned to Boosh management for clarification. The answer was simple, and as we expected: there were no concrete plans for The Mighty Boosh to reform, and others in their inner circle – though hopeful for the future – backed this up. Noel, Julian, Rich, Dave and Mike never had a true break-up. 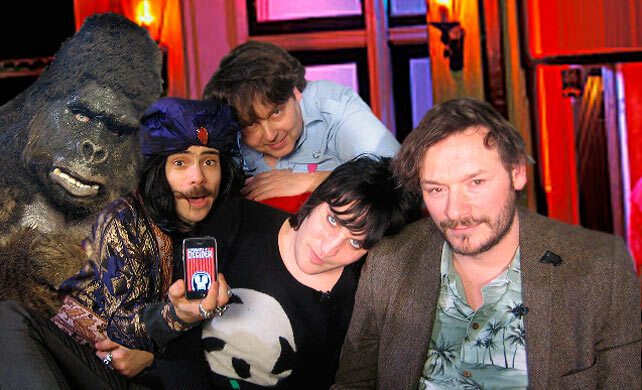 Following the third series in 2007, and their sell out live tour in 2008/2009, the Boosh were actively working together on their currently shelved album at Electric Ladyland. In 2010, they were all together at various events, launched an iPhone app, performed at the Roundhouse with Dweezil Zappa, and started writing a film which never materialised. But then real life got in the way. The suggestions for their next move got too big, and they all went off to do new projects. In late 2013, they also got back together for a string of live dates, leading up to a performance at Tenacious D’s Festival Supreme. And ever since, when pushed for a quote, Noel and Julian will enthuse about their plans to write together again. We knew the boys have been incredibly busy. Noel, Mike Fielding and Rich Fulcher have just come back from a mammoth tour of Australia and North America. Rich, currently based in LA, is working on another run of his own webseries. Dave Brown, meanwhile, devotes his time to his design work and philanthropic efforts. Julian has been working on Flowers, and like Noel, has a string of solo projects lined up, and both have been working constantly for months on end. Logistically, we were not really seeing a window for any writing to have taken place… yet. So there you have it. 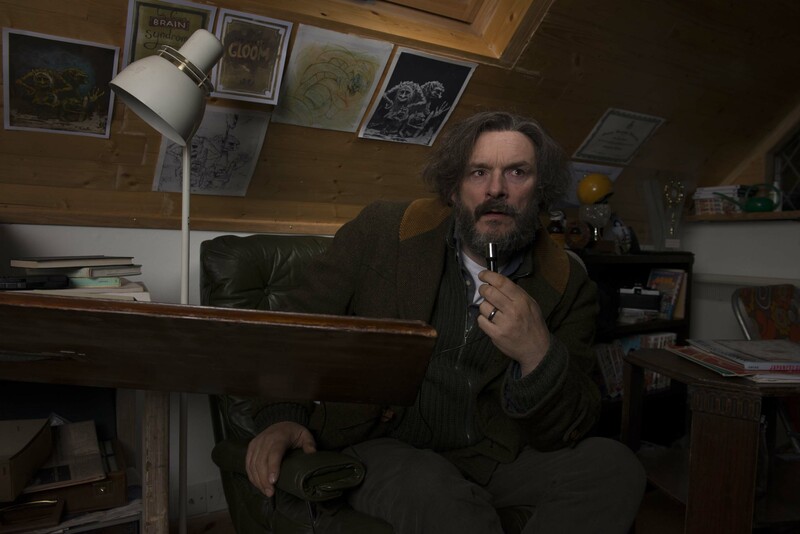 Maybe something will happen this year – and if it does, it might not even be Boosh-flavoured, but something entirely new. You can rest assured that if and when it does, The Velvet Onion will be one of the first shouting about it. And if we may be so bold, perhaps the pressure to make ‘The Next Thing’ is big enough without our hyperbole adding to the expectations of a patient fan-base. We know how so many of you feel: we want them back too, but it’ll have to be on their terms, and we’ve got so much other great stuff coming our way while we wait. Just one more thing, though, as these articles keep on popping up from time to time, and both The Velvet Onion and The Boosh themselves then end up running around trying to calm everybody down.